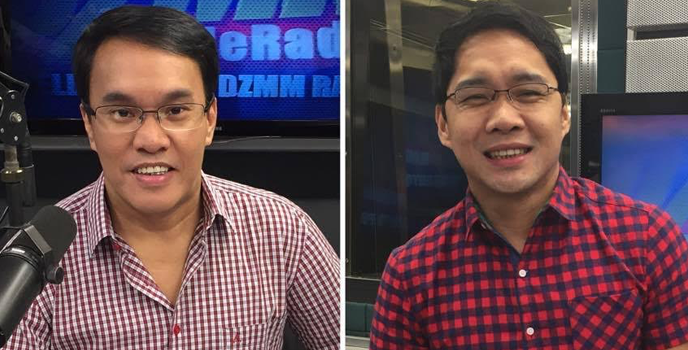 Since it began in November 2018, the interview series has featured 28 of the country’s senatorial hopefuls, who faced questions on their credentials, platforms, and various issues from anchors Peter Musñgi of “Pasada Sais Trenta” and Anthony Taberna and Gerry Baja of “Dos Por Dos.” The potential candidates are grilled on different topics like federalism, inflation and the economy, the Bangsamoro Organic Law (BOL), housing and traffic problems, and more. 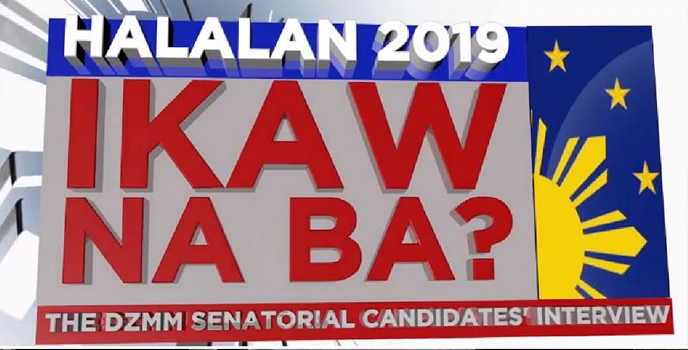 “Halalan 2019 Ikaw Na Ba: The DZMM Senatorial Candidates’ Interview,” is part of ABS-CBN News’ “Halalan 2019” coverage that aims to help Filipinos make well-educated choices in the coming polls through accurate news and informative election features and specials. DZMM brings citizens into the conversation with the help of DZMM Radyo Patrol Reporters and ABS-CBN Regional reporters who go on-ground to hear the concerns of Filipinos in different areas. Audiences can also send in their questions on DZMM’s social media platforms, which the aspiring senators answer on Facebook exclusives featuring DZMM anchor Tina Marasigan. DZMM’s daily afternoon news broadcast “On the Spot” will also feature highlights of the interviews from Monday to Friday at 4 pm. On January 22, “Halalan 2019 Ikaw Na Ba: The DZMM Senatorial Candidates’ Interview” went on a break from for a special edition featuring representatives from organizations and NGOs related to the elections: Philippine National Police, Teachers Dignity Coalition, Parish Pastoral Council for Responsible Voting (PPCRV), Kontra Daya, and National Citizens’ Movement for Free Elections (NAMFREL) to discuss other issues surrounding the elections, as part of DZMM’s thrust to educate voters. Meanwhile, DZMM Radyo Patrol 630 still comes first to listeners in Mega Manila based on the latest Kantar Media Radio Survey conducted last November 21 to 27, 2018 for the fourth quarter of 2018. DZMM garnered an audience share of 30.4 percent, to remain ahead of DZBB and DZRH, which got 29.8 percent and 16.6 percent respectively. Catch the “Halalan 2019 Ikaw Na Ba: The DZMM Senatorial Candidates’ Interview” series every Tuesday and Thursday with Peter Musñgi, Anthony Taberna, and Gerry Baja from 4:30 to 6:30 pm on DZMM TeleRadyo and DZMM Radyo Patrol 630. Previous ArticleFast & Furious Presents: Hobbs & Shaw trailer is out!